Are you looking for beautiful bathroom this summer? Here at West Property management, our Colchester property experts will tell you about the latest trends and how to have your very own perfect bathroom. The first step to creating your new bathroom is researching your ideal room, this can be done by browsing online or reading popular home magazines. 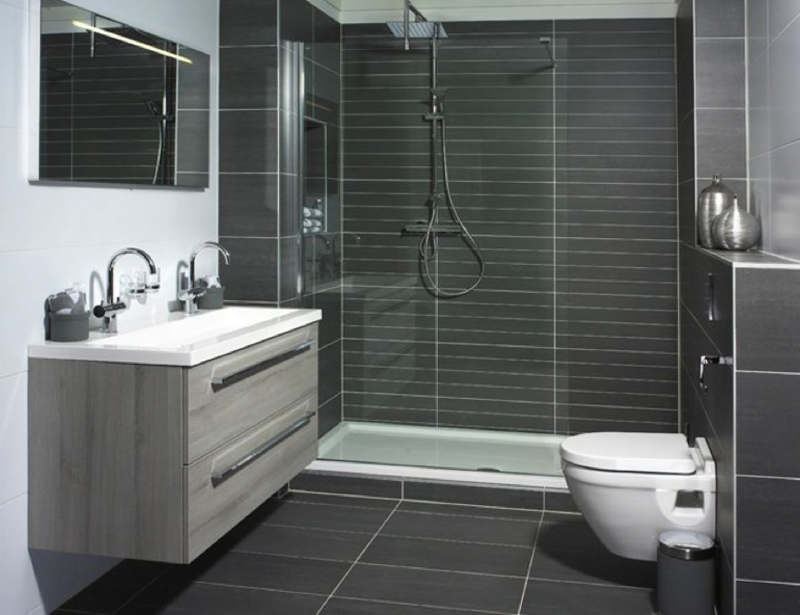 Then once you have an idea of what type of bathroom you would like, you can speak to one of our Colchester bathroom fitters who will discuss the financial costs and your available space. Are you looking for a modern bathroom? The stunning bath, complimenting large mirror and double sink creates a stylish and sophisticated room. The matte black bath and sinks look smart against white walls, but drawing the eye to the elegant light. Final touches of picture and rug are used to make the room feel homelier but still modern. 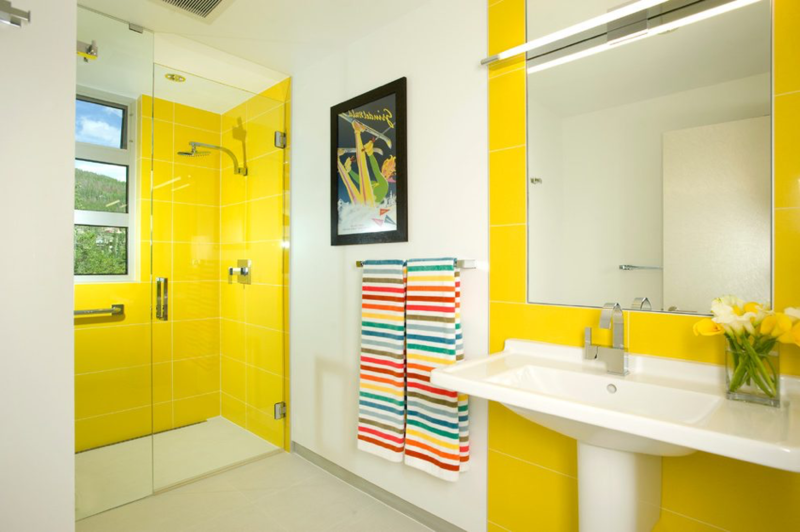 Brighten up your home with this yellow-gloss bathroom to create a colourful room. By having striped towels introduced more colour that can be used to brighten the room. Better still the metallic yellow backgrounds reflect the light perfectly, which is an excellent way to make a small space seem bigger. If you only have a small space fitting a shower may be more effective then a bath. This sleek bathroom has neutral palette of white, light wood and grey, the tiled floor-to-celling allows the sink to be the focal point. The perfect open large bathroom for a family, the green units create an easy-going atmosphere which is light and fresh. The white worktop creates a simple contrast with the wooden floor, making the family bathroom have a lived-in but clean look. Plenty of storage space reduces clutter of toiletries and ensures efficient use of the space. 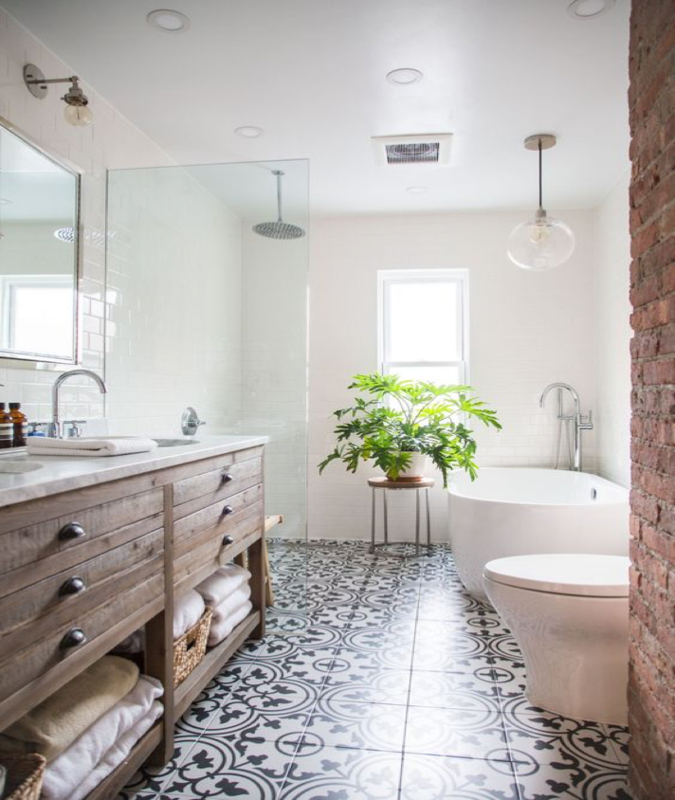 Is your bathroom an unusual shape? Our Colchester bathroom fitters are experts at designing your perfect bathroom in any room shape. This family bathroom with a shower and a bath, uses neutral tones in the forms of browns, whites and greys to ensure the room did not look crammed. By adding a plant to the bathroom it allowed colour which also brightened up the room. If you’re looking to have your bathroom renovated, please contact us and speak to one of our experienced kitchen fitters in Colchester, Essex.